Home Journal Personal Waving JULY a Positive Hello! Waving JULY a Positive Hello! I am thankful for what I have, even if it's not perfect. I know it's not too late yet, so I guess, I have to start not doubting the things that I already have had. No matter how big or small it was, my focus now is on how to appreciate these things and to know how blessed I am to even have these things, that they work and they are mine. I believe that having this perception and setting would be a good mantra for me in waving hello to July as I fully opening my arms in welcoming the new month. I know it will scope the whole month, however, I will make sure that every day should be a positive one, whatever it may bring me. Maybe just a piece of advice like what I'd learned from a good friend of mine that no matter what will happened, always see the brighter side and start each day with a mantra that bring in positive outlook and exclude the negative. But, that doesn't mean that you have to switch up your mantra daily, one personal mantra that you can say every day would suffice. Positive. That's the word though. 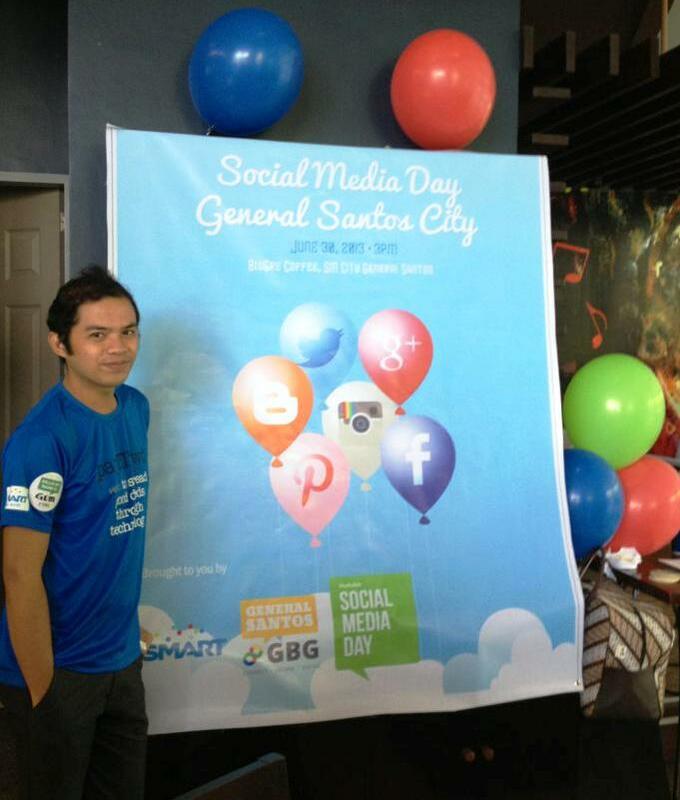 Anyway, on a personal note, I woke up today with a smile on my face at the same time enjoying the bliss from yesterday's celebration of World Social Media Day as GenSan took part of this annual event. It's actually Mashable's fourth annual Social Media Day after launching the event way back 2010. All forms of social media enthusiasts by hosting or attending a Social Media Day Meetup in their respected area not just around the country but around the globe as well. Soccsksargen Bloggers held the said event at Blugre GenSan yesterday sponsored by Smart Communication Inc. and Google Business Group GenSan. It was indeed a very successful event. More details of this on my next post. Spice Up My Morning. A sms from my boyfie indeed brighten my day triple times. haha After the weather ruined our mensiversary celebration last Saturday, ooopppsss! -that is the negative side there, but as what I've said above, look always on the brighter side; and here it is; my boyfie invited me for a movie date today. I really don't know yet his plan aside from watching a movie but I'm pretty sure, I'll be the prettiest lad in town. Loved. He will attend his class first before his surprise will start to roll. I'm super "egzioted". I'll also think triple times if am going to share it with you or kept in untold and treasured it our own. One thing is for sure now, the day is ours. Full of love. I guess, this all for now and hope you enjoy this post. 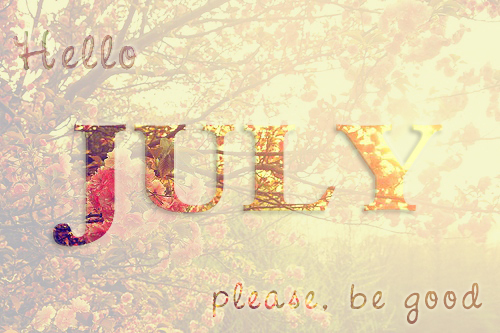 Thank you for reading and don’t forget to wave a positive hello to July!